Lieutenant Governor Josh Green toured a potential re-location site for the Pu’uhonua o Wai’anae homeless encampment. 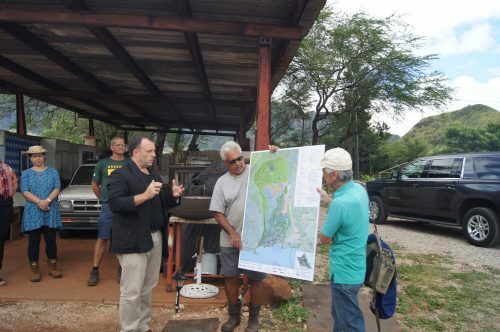 The Lieutenant Governor, joined by Representative Cedric Gates who represents the 44th district, toured the parcel of land in Ka’ala Valley which is being considered as a possible re-location site for the community living at the Pu’uhonua o Waianae encampment at the Wai’ane boat harbor. The land, a 20 acre lot on a state owned ranch which is currently being leased by Ka’ala Farms, is right off Wai’anae Valley Road. At this time, the community of Pu’uhonua o Wai’anae consists of about 200 houseless people living on conservation lands at the Wai’anae Boat Harbor in makeshift shelters and tents. 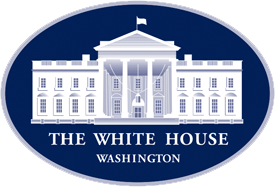 The tight-knit group has established their own type of governance with rules, jobs, and leadership and have been working with local government, private donors, and utilizing crowd funding in an attempt to obtain land and develop infrastructure for a permanent, sustainable residence. 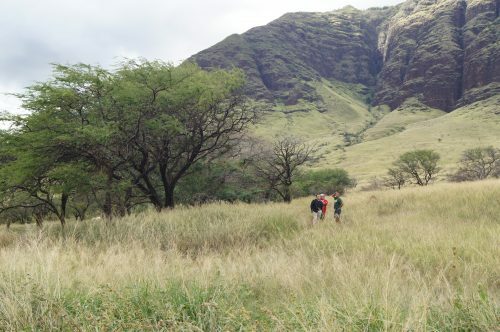 This is not the only location being considered for a possible re-location site, but the Lieutenant Governor is hopeful that the serene area will be a good fit for the community, and that money for Ohana Zones could be used for infrastructure, services, and sanitation. After touring the ranch land, Green then headed down to the boat harbor to the current location of Pu’uhonua o Wai’anae to deliver holiday gifts for the keiki residing in the encampment. 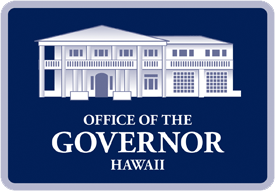 The Lieutenant Governor has long been an advocate for and ally to the Pu’uhonua o Wai’anae community, and has made assisting them in their efforts to establish a permanent home one of his top priorities. To learn more about Pu’uhonua o Wai’anae, follow them on Facebook.